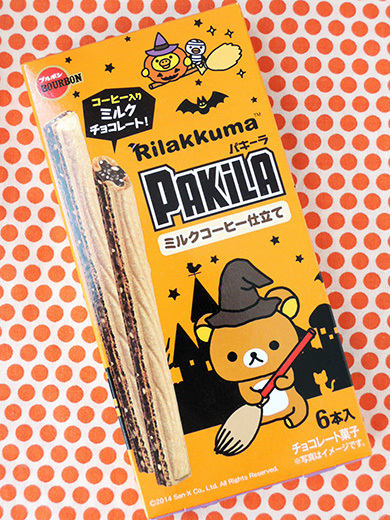 Rilakkuma appears on the package of PALKILA for celebrate Halloween. 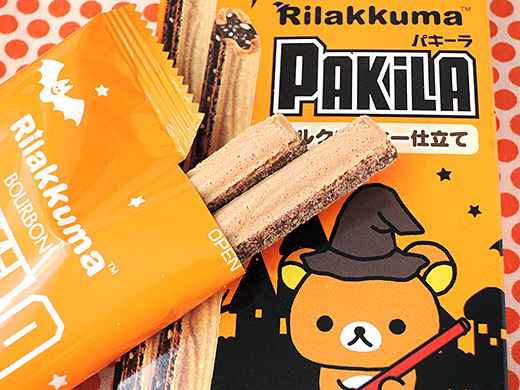 The flavor is special for them, milk coffee flavored crunch puff chocolate in wafers snack. 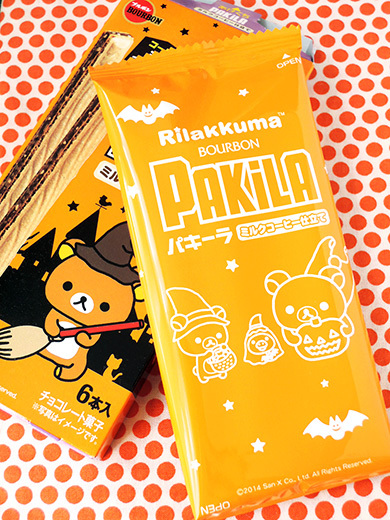 Cute and good for “treat“!